Libertarians can be a radical and contentious lot: damning government, shouting “Taxation is theft!” calling for immediate abolition of critical programs… You may think them unrealistic. You may even think government is too small. Nonetheless, odds are good that you share the same underlying values that libertarians hold dear. For libertarianism is simply common sense morality taken to its logical conclusion. Do you think it is wrong to steal? Do you think it is wrong to drop bombs on residential neighborhoods? Do you think it is wrong to own someone else? If so, you are on the same page as those wacky libertarians. The only difference is that libertarians apply these common sense notions to everyone, even the government. Suppose the Salvation Army was to become a real army, complete with assault weapons and body armor. It could raise a lot more money each Christmas, and its soldiers wouldn’t have to keep ringing those annoying bells. Instead, each shopping mall entrance would become a military checkpoint. Soldiers would require that each shopper donate a fair to the cause. It’s a win-win situation! The burden of charity would be more fairly distributed, fundraising costs would go way down, and money for the poor would be plentiful. What? You have a problem with being held up, even to take care of the poor? You selfish jerk! It’s for a good cause! Have you been reading Ayn Rand? An armed Salvation Army and government-funded welfare programs are morally equivalent. Oh, there are some practical differences. The government has more information on people, so it might do a better job of spreading the burden. And we might have better control of the government – elections and all that. A renegade Salvation Army using its armed might for selfish reasons would be a nasty thing indeed, and taming it could be bloody. Then again, the same holds true for government. Read your history books. An armed Salvation Army might be easier to control than a government. What about democracy? Democracy is us. Therefore when the government collects taxes to fund welfare programs, it’s not theft. Right? Democracy is useful, but it is still a moral compromise. And that’s all I am trying to convey here: if you vote for government action, you are making moral compromises. Taxation is a form a theft. It may be a necessary bit of theft – doing without is problematic – but it is still theft. You may decide the theft is warranted, that it is better to steal from the rich than to let the poor go without. At times I will agree with you. After all, I am no longer a libertarian. But I still recognize that taxation is a form of theft. It’s not fun admitting to moral compromise. Moral absolutism is the easier path to self-righteousness. But moral absolutism is a very slippery slope. It can lead to rationalization and denial. Many government programs fail the Machiavelli test: their ends do not justify the means. 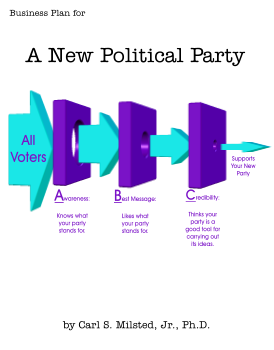 Conversely, moral absolutism can lead to impractical extremism, as has been the case for the Libertarian Party. Let's start with some utopian fiction from the libertarian view. We stick with books here, since Hollywood doesn't think of libertopia as a good idea. The Moon is a Harsh Mistress , by Robert A. Heinlein. The classic work of anarcho-capitalist fiction. This one turned me into an anarchist back in high school. It took me a decade before I gave up on the idea. 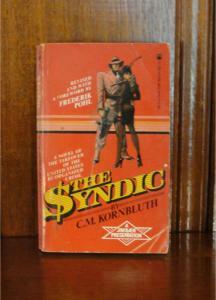 The Syndic , by C. M. Kornbluth. The United State is taken over by organized crime. Life is good. I suspect that this one inspired the gangster episode of Star Trek, but I have no evidence other than the settings similarities. The Probability Broach , by L. Neil Smith. In a parallel universe, the U.S. kept the Articles of Confederation, and became a libertarian utopia. This one is available in novel or graphic novel form. Not very realistic, but kind of fun. Songs from the Stars , by Norman Spinrad portrays a post nuclear war future in which government has been pretty much abolished and mediators resolve disputes using a hippie-libertarian code of ethics. Uncoolness is a crime. Very groovy. The movie/TV industry does a much better job portraying the evils of excess government than it does the positives of minimal/no government. Here's a couple of my favorite examples. 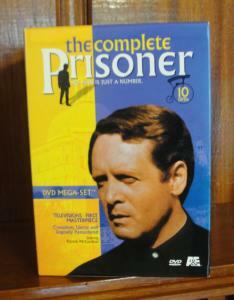 A retired spy is kidnapped and taken to a prison-village, modeled on Jeremy Bentham's ideas. One of the most surreal television series ever made. For more utopias, dystopias, along with libertarian theory, see the store. Copyright© 2003-2007, Carl S. Milsted, Jr. All rights reserved.